As architects, our most common projects are extensions and alterations to people's houses - that is, domestic work. Here we offer a guide to help explain the processes involved, the likely costs, and important things to bear in mind at critical stages. Getting the design right is extrememly important, but sucessfully managing the project holds arguably greater value to the end result than any other part. 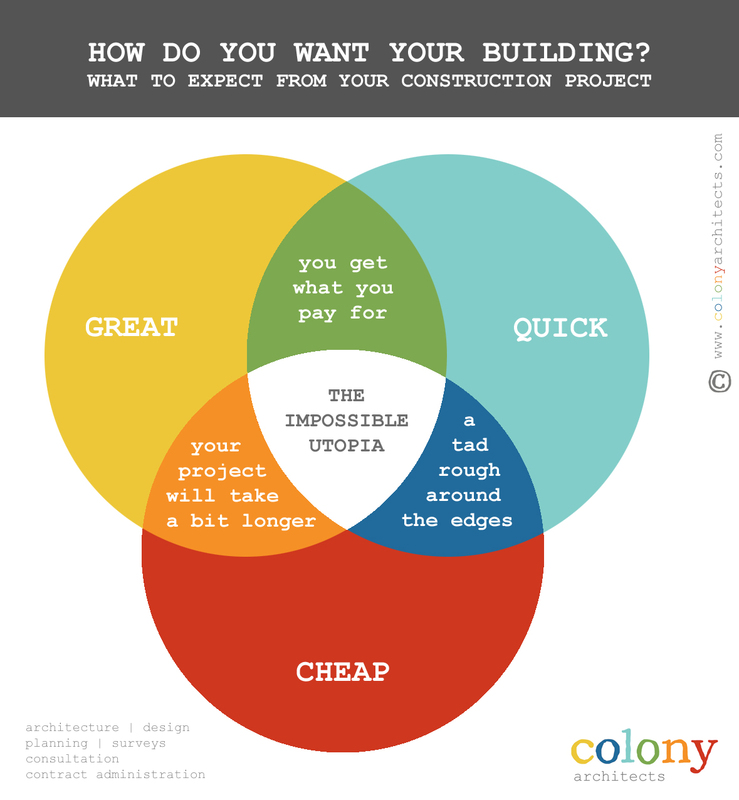 While you can equally balance time, cost and quality, you would be lucky to get a really great building, built to a severe dealine, at bargain cost! So which would you want greater control over? If you want to discuss your potential project with an architect, we are happy to help. Contact us here - we're friendly!